Your post is the first one on this page, which is like, the opposite of last, isn't it? And welcome to the newcomer. Fresh fish! Fresh fish! Fresh fish! 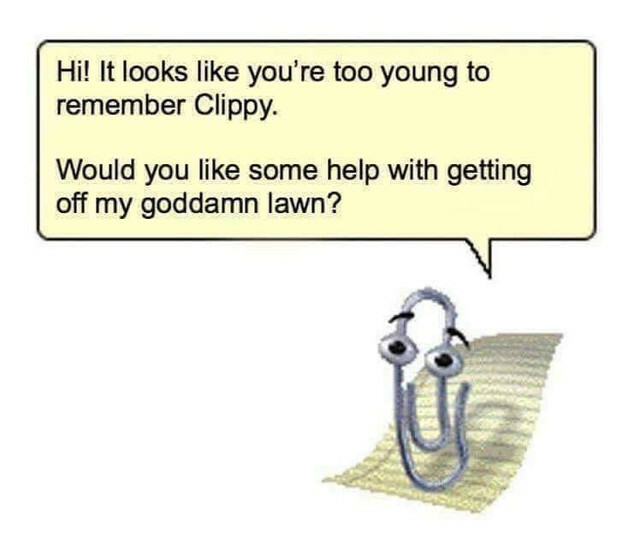 Does that mean I get to stay on the lawn, because I remember Clippy? That seems to be the lawn law.